The comet C2013R1 (Lovejoy) was discovered on September 9th 2013 by the Australian hobby astronomer Terry Lovejoy. At the time of discovery the 14 mag comet was in the constellation of Monoceros near to the border with Orion. Photographed on November 1st between 01:00 and 03:50 LT ( 23:00 on Oct 31th – 00:50 on Nov 1st, UT). 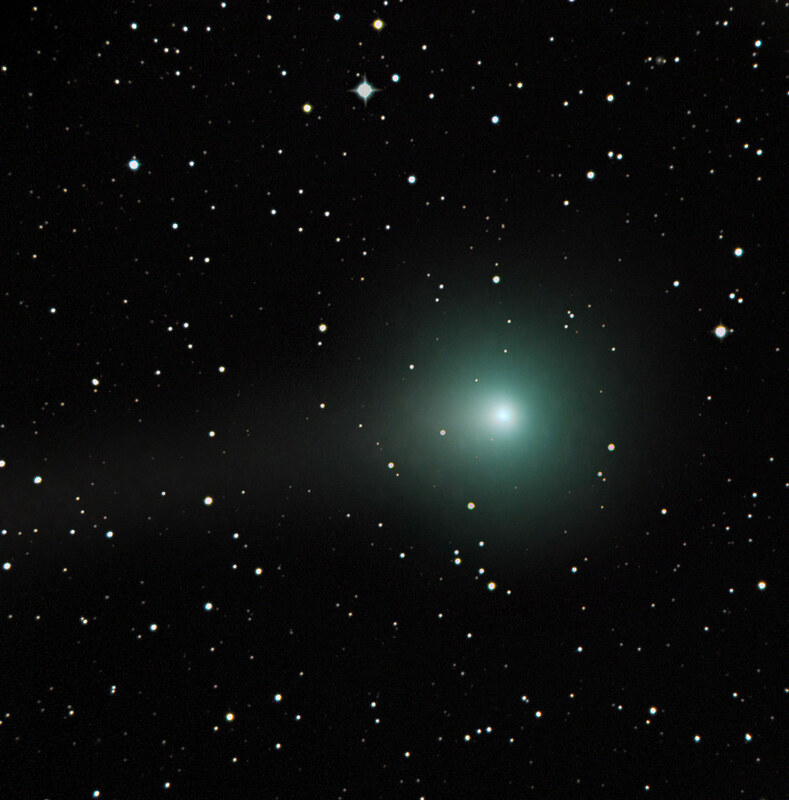 The proper motion of the comet was : 0.0445 arcsecs/sec on RA and 0.0342 arcsecs/sec on DE. Other information can be found in the object's details table below.